The 2017 E-Class goes on sale in mid-2016, but some of its most advanced safety features won't be available on U.S. cars initially. With the 2017 E-Class, Mercedes-Benz is pushing the boundaries of its autonomous driving technology, and backing it up with S-Class style. Mercedes-Benz has long laid claim to some of the most technologically advanced vehicles on the road. With the new E-Class, the German automaker says it's outdone itself: the new 2017 E-Class is even more flush with technology than its nearly new S-Class. New for the 2017 model year, the Mercedes-Benz E-Class is the German automaker's mid-size four-door sedan. While other body styles carry over on the previous architecture—for now—the sedan is has been completely revamped, with a larger body, a style shared with the S- and C-Class cars, and features that make it the most "intelligent" sedan from the brand, according to Mercedes. 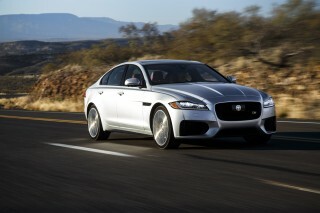 It remains a benchmark among luxury cars, among mid-size cars, and among four-door sedans. It's more beautiful than it's been in a generation. It's more substantial. More efficient. What has happened is radical enough. In this generation, Mercedes says it's outdone itself, by baking in more autonomous-driving, safety, and infotainment hardware in the new E-Class than it offers even in its sensuous, stalwart S-Class. The E-Class now can drive almost entirely by itself at autobahn speeds, and can sense the road ahead at U.S. highway speeds when the road itself is in poor repair. We're a long, long way from mere cruise control here. 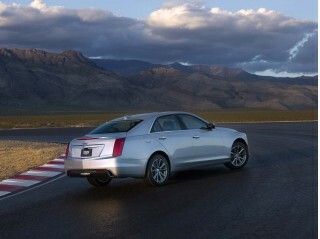 On that front, it's a magnitude ahead of rivals like the Audi A6, BMW 5-Series, Lexus GS, Jaguar XF, and Cadillac CTS. It's now locked in a headline war with the American-made Tesla Model S for the smartest car on the road. The themes introduced on the latest S-Class and C-Class cars give the new E-Class sedan a balanced, classically handsome look. It's a long-hood, short-trunklid profile that lays out over a longer wheelbase, giving it a more relaxed look than the compact C-Class. Status-seekers enjoy a big Benz grille in two flavors: Luxury models get the hood-mounted star; while Sport models wear the three-pointed logo inside the grille (and presumably, get LED illumination as an after-factory accessory). A deep shoulder line tapers slightly toward the rear wheels, where LED-ribbed taillights frame an abbreviated trunk lid. The E43, meanwhile, has its own styling that builds on the Sport styling package with AMG-badging and a diamond-style grille. The E-Class cabin adopts the effusive looks of the S-Class. The hallmark is a wide sweep of metallic trim from door to door, studded by circular air vents. The dash is capped in stitched leather and warmed by ambient lighting on some models, and dominated by twin display screens that replace the gauges and serve as output for the car's ancillary systems. The navigation and infotainment display is a 12.3-inch high-resolution screen that caps a center stack that houses thin rows of climate-control switches and, in place of a shift lever, a touch-sensitive control puck for the COMAND infotainment interface. Initially, the E-Class sedan launches with a single drivetrain. It pairs a 2.0-liter turbocharged inline-4 with 241 horsepower and 273 pound-feet of torque to a 9-speed automatic, with a choice of rear- or all-wheel drive. The turbo-4 has strong acceleration, with a 0-60 mph time pegged at 6.2 seconds, and a top speed set at 130 mph. It's a convincing 6-cylinder replacement, but it's gruff under hard acceleration, even more so than Benz's outgoing V-6 engines. The E43 boasts an impressive 396 hp and 384 lb-ft from its 3.0-liter twin-turbo V-6. All E43s are all-wheel drive and feature an AMG-modified air suspension. The E-Class also offers a choice in suspensions, between a steel multi-link setup with adaptive dampers (in base or sport tune) and an air suspension with adaptive dampers. Wheel and tire sizes range from 17 to 20 inches. Any of the systems with adaptive controls—suspension, steering, transmission, and throttle—can be toggled through a set of drive modes, from Comfort to Economy, Sport, and Sport+. Depending on how it's configured, the standard E-Class' ride and handling run the gamut from old-school ease to twisty-road breeze. A sport-tune steel suspension has a mildly firm setup, but the air suspension and driving modes give the most elaborate E-Class breathtaking versatility. It can cruise with lots of suspension travel, slow and smooth shifts and light-touch steering in Comfort mode, or approach AMG levels of heft and stiffness when set in Sport+ mode. The new E-Class has more high-strength steel in its body and more lighter-weight aluminum panels on its body, which helps it toe the line at about 4,000 pounds in all. The new body pays dividends in cabin space: compared with the outgoing car, the new E-Class is 1.7 inches longer, at 193.8 inches long, and has a wheelbase 2.6 inches longer, at 115.7 inches long. In practical terms, there's a bit more front-seat space—and a pair of multi-adjustable chairs with lots of lumbar and optional massaging. The rear seat didn't lack for space, but there's more of it, despite a roofline that could have given up an inch were it not for a repackaged, reshaped bench. Undoubtedly, it's the safety and autonomous driving features baked into the new E-Class that will draw buyers even away from an S-Class. 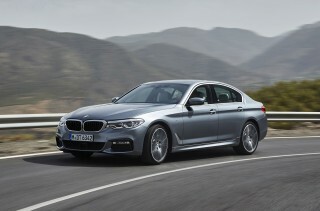 The claim of world's most advanced sedan? There's something to it, what with all the new technology that advances some of the E-Class' features. Standard equipment includes the coffee-cup warnings of Attention Assist; a new Pre-Safe Sound that emits a distinct frequency if the car senses an imminent accident; forward-collision warnings with automatic emergency braking; and a rearview camera. In our experience, the systems work well enough to consider them a net benefit. They demand the driver play an active role by gripping the wheel every 20 to 30 seconds, unlike similar systems. They're not flawless, not yet: in at least two instances, the system either couldn't detect a faded white stripe or couldn't detect anything at all, and stopped engaging its adaptive cruise control. Other new functions spun off of this technology include the ability to park the car, and move it out of a parking space, solely through a smartphone app; hardware that emits and receives data about nearby vehicles and obstacles and could one day help to avoid accidents; and a trigger for the front seats to inflate a seat bolster, shoving the passenger almost 3 inches farther away from a potential point of impact. Among its other technology and luxury features, the E-Class adopts a new infotainment look and feel, with high-resolution animation. The cabin's ambient lighting can vary between 64 colors, and the lighting can be turned on or off at certain features—at the speakers but not at the center console, for example. Finally, the new E-Class comes with a choice of high-end Burmester sound systems, both of which use some structural members of the body as passive speakers. The more expensive sound system has 23 speakers and 3-D sound staging. What is it, mostly? The E300 more like a closing statement in the case that Mercedes is making—that it deserves the tech mantle, more than the arrivistes. The E-Class wears a family look, with an imposing profile and a stunningly sculpted cabin. The E-Class could easily have backed off on dramatic styling change. It hasn't. It's embraced the long-nose, short-deck sweep that's recast the C-Class and S-Class as the most stylish cars in their respective classes. Not all E-Class cars have this elegant new look. While the sedan is completely new, the coupes and convertibles soldier on in last-generation form for a bit longer. There's some variation within the standard E-Class fold. Drivers can choose between a Luxury model with a more traditional grille and a hood-mounted Mercedes star, and a Sport model with a slimmer, sparer grille and a flat star badge on the hood. From there, the silhouette remains the same. There's a tapered shoulder line that pulls down toward the rear wheels, a carefully draped roofline that flows into the abbreviated rear end. At the back, LED taillights have a diffused pattern dubbed by Benz as a "stardust" effect. It's not as complex as Rolls-Royce's starlight roof, with its thousands of pinpoints of LED light, but it's a charming detail, one of dozens that set this generation of Mercedes cars well apart from those in the past. The effusive design cues carry into the cabin. The E-Class interior is no longer bound by big bands of wood and studded by banks of buttons. It's swept up into a rhythm of textures, from open-pore woods to metallic weaves, that rise and ebb from the door panels toward a bombe chest of a center console. It's all capped in stitched leather and warmed by 64 shades of ambient lighting from prom-night purple to old-money white. Like the S-Class, the E-Class doesn't shy from the digital era. What would be the point, when it has twin 12.3-inch screens at hand? Most E300s will come with one screen and a handsome set of dials, but Mercedes will take special orders for what becomes the stock setup in AMG-powered E-Class sedans. The dual-pane setup sets the right tech mood, but the freedom of space puts some information behind the steering wheel, no matter how you tilt or telescope it. Information fills every corner of the driver-side display—almost as if the steering wheel could go away entirely. The cockpit's receptive to fingertip control. Below the right-side screen, thin rows of climate-control switches sit ahead of the touchpuck that controls the infotainment system. The E's steering wheel also has touch surfaces for swipe-and-tap operation. Mostly, though, it wants to be admired by the other senses. The leathers are more vividly colored, the sound system speakers perforated for aural and textural thrills. The S-Class set a high-water mark for all of Mercedes when it comes to interior style, and this car has copy-pasted the look to great effect. If you still fall back on the "E-Class is a German taxi" critique, you probably haven't been in one in this century. The E300 turns 4-cylinder power into a non-issue; ride and handling run the gamut from old-school ease to twisty-road breeze. The E-Class is available with 4-, 6-, or 8-cylinder power, rear- or all-wheel drive, and optional air suspension. 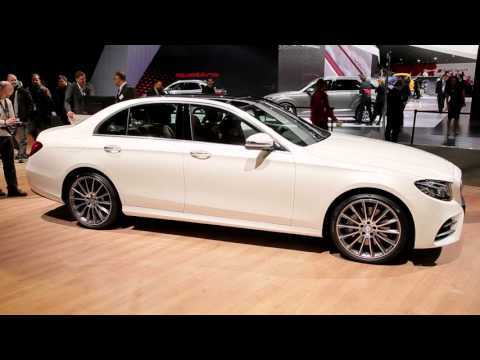 The E300 will be the starting point for many buyers looking for a comfortable sedan. Its 2.0-liter turbo is rated at 241 horsepower and 273 pound-feet of torque. It's coupled exclusively to a 9-speed automatic that's made its way into a few products across the Mercedes lineup, including the CLS-Class and the palindromic SLC-Class. If you're wavering on accepting a 4-cylinder in a large luxury sedan, know that the new era of turbocharging means these powertrains can pump out all the power a 4,000-pound sedan needs to be truly quick. In the E-Class, the turbo-4 is a responsive piece, with a very low onset of peak torque (down near 1,300 rpm), which gives it lots of pull across its wide powerband. According to Mercedes, it's good for 0-60 mph runs in about 6.2 seconds. With its paddle controls, the E300 can dial up strong doses of power at almost any point. With its 9-speed automatic, there's much less of the rummaging for the right gear than we've found in other cars fitted with that many forward gears. The 4Matic all-wheel-drive system splits power front to rear at 45/55, for a slight rear bias that's all but invisible on the road. The system's a $2,500 option, under a couple hundred points of weight, and almost a no-brainer when it comes to usability and resale value. The E-Class is connected to the road through a range of all-season tires on wheels from 17 to 20 inches, then through a multi-link independent suspension augmented by adaptive dampers. That setup can be specified in either base or sport tune. 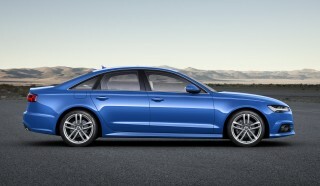 The worthwhile upgrade is to an air suspension with adaptive dampers. Dubbed Air Body Control by Benz, the system has air springs with two chambers per strut in front, three per strut in back, with the ability to selectively inflate and deflate bags based on road conditions and driver demands. The system includes the adaptive dampers, and also incorporates automatic load leveling, and lowers the E-Class at highway speeds for improved fuel economy, while it can also raise the ride height for better ground clearance. Those driving-mode names don't quite give away the broader envelope of ride and handling coded into the E300. We've now driven it through grinding traffic outside Lisbon, Portugal, and through rush-hour madness on the 101 through the Bay Area. Comfort mode is an old-school throwback, with languid steering and shifting and lots and lots of suspension travel. We'd switch it into Sport and leave it there most of the time; in that mode, it's the closest to the golden mean, with good ride quality and quick transient responses. Beyond that? There's plenty of territory above Sport+ yet to be mined. In truth, it feels like a grippy set of tires and a slightly tweaked algorithm are all the E300 will need to gain AMG status. That, and another blower and another liter of displacement, which is what the Mercedes-AMG E43 delivers. Its 3.0-liter twin-turbo V-6 is rated at 396 hp and 384 lb-ft of torque, enough to help it sprint to 60 mph in just 4.5 seconds. Power goes to all four wheels via a modified 9-speed automatic transmission that fires off shifts so abruptly in Sport+ mode that it may as well be a racing gearbox. All E43s are all-wheel drive, but the system has been retuned by AMG to deliver a 39/61 bias toward the rear. Underneath sits an AMG-modified air suspension and, not surprisingly, AMG also tweaked the car's steering system. Our drive time in the E43 has been limited and we look forward to spending more time in this performance-oriented four-door, but it appears to be a worthy entry into the AMG fold. A detuned version of this V-6 with 329 hp will also eventually make its way into the E-Class Wagon, where it will be the only powertrain in that body style offered to American consumers. More leg room and fantastic cabin finishes put this E-Class in a higher plane. The E-Class is the last Benz sedan to benefit from right-sizing, in the wake of the arrival of the CLA. In this case, it means growing a bit to put some distance between it and the compact C-Class sedan. By the numbers, this E-Class has gained 2.6 inches of wheelbase and 1.7 inches of overall length to sit at 193.8 inches long, on a 115.7-inch wheelbase. Curb weight is barely lower, to just below 4,000 pounds in fighting trim. That back bench is actually a three-piece cushion, split to provide access to the trunk, which at 13.1 cubic feet isn't vast. The more welcome touches in the cabin include a new package of fittings for driver and passenger that warms the armrests and center console, as well as the steering wheel. The rear seats have a middle-section split that offers a storage armrest with its own cupholders and tablet holder—important in places where the E-Class is a chauffeur car, first and foremost. The specs are better, but the magnitude of change in the cabin can't go without a mention. It's not just a matter of style; the E-Class's coordination of finishes raises the bar to S-Class levels. The combination of wood and metal trim on the dash, combined with the flowing shape, is the best we've seen in this price class, period. It makes new entries from Detroit and England seem futzy, and stuck in a time-warp interpretation of German luxury. That said, the E-Class has lots of sound deadening but could use more. The sometimes brusque sounds coming from the 4-cylinder engine are disappointing, given the car's badging and its sticker price. The Mercedes-Benz E-Class has some of the most advanced safety options available anywhere and has done well in crash tests. Federal testers have given sedans a five-star overall score, including five stars on every subcategory. The IIHS agrees, rating the E-Class as a Top Safety Pick when fitted with curve-adaptive headlights. Even still, the E-Class has an overwhelming amount of safety technology on tap, and we're betting the data will only make a stronger claim for it being one of the safest cars in the world. Other standard safety features include the coffee-cup warnings of Attention Assist, and forward-collision warnings with automatic emergency braking. The E-Class also can inflate a seat bolster in an accident, shoving the passenger almost three inches farther away from a potential point of impact. The new E-Class has some of the most advanced and luxurious touches you can buy, but a rearview camera is still an option. The 2017 Mercedes-Benz E-Class starts at a base price of $53,075 for the E300, and even at that entry level, few will be disappointed with the raft of features added in the new generation. The new E-Class sedan goes beyond the usual luxury-car touches. Base cars are outfitted with myriad features like power windows, locks, and mirrors; MB-Tex upholstery; cruise control; Bluetooth with audio streaming; 17-inch wheels; power front seats; automatic climate control; remote start; keyless ignition; ambient lighting; navigation; and dual USB audio ports. All-wheel drive is available for $2,500 on the E300. Major packages include one with parking assistance, a rearview camera, blind-spot monitors, Burmester audio and wireless phone charging. Another adds massaging front seats, a cabin air purifier, and a power rear sunshade; a third package bundles in the safety features, from lane-change assist to adaptive cruise control to a surround-view camera system. Rear-seat airbags are also offered along with rear-seatbelt airbags. The air suspension is a $1,900 option, and a rearview camera with park assist can be had for $1,050. Other features that can be fitted include a sport wheel package with beefier brakes and 18-inch AMG wheels; a panoramic roof; an illuminated three-pointed star on the grille (on Sport versions); a rear spoiler; 19- and 20-inch wheels; heated seats, armrests, and a heated steering wheel; an in-car fragrance dispenser; heated and ventilated front seats; the additional 12.3-inch gauge display; Burmester sound; adaptive headlights; and satellite radio. The E-Class gets kudos for including Apple CarPlay in its standard equipment. Its streamlined interface is a welcome change from the rolling, clicking, writing and swiping required to enter a destination in the car's resident navigation system—it often didn't have new points of interest in its database during our test drive. The E43 sedan is equipped with an impressive array of features befitting a sedan that starts north of $73,000. 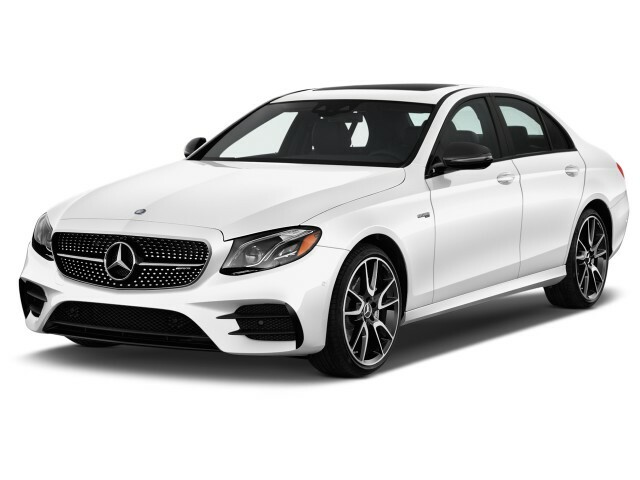 Along with standard all-wheel drive, Mercedes outfits the E43 with 19-inch wheels, a 12.3-inch driver information display, a 12.3-inch infotainment screen, Burmester sound system, leather upholstery, keyless ignition with remote start, and a rearview camera. The E-Class is only available as a turbo 4-cylinder so far, which makes for strong EPA numbers. Now that the car is officially on sale, the EPA has released fuel economy figures for the 2017 E-Class sedan. The new four-door car improves on the numbers it posted just last year. Though it's bigger, it's powered by a small-displacement turbo 4-cylinder with 241 horsepower, coupled to a 9-speed automatic. In rear-drive form, the E300 is rated at 22 mpg city, 30 highway, 25 combined. Adding all-wheel drive lowers those figures to 22/29/24 mpg. Opting for the E43's bigger engine cuts fuel economy down to 18/25/21 mpg. For other body styles, the carryover powertrains should retain their previous fuel-economy estimates. 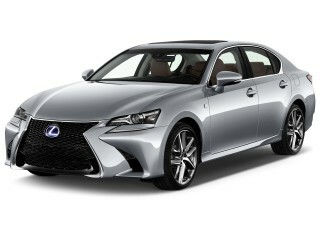 As for the new sedan and future high-economy alternatives, there's going to be a lag. Mercedes has a new generation of turbodiesel engines, but they won't be fitted to sedans sold in the U.S. for at least a couple of years. Likewise, a plug-in hybrid E-Class with electric-only driving for up to 50 miles will wait until the end of the decade to go on sale.